Dr. Denisse Aybar is originally from Rockville, Maryland. She attended the University of Maryland for her bachelor of science degree and then went to Purdue University in West Lafayette, Indiana, to earn her Doctor of Veterinary Medicine. 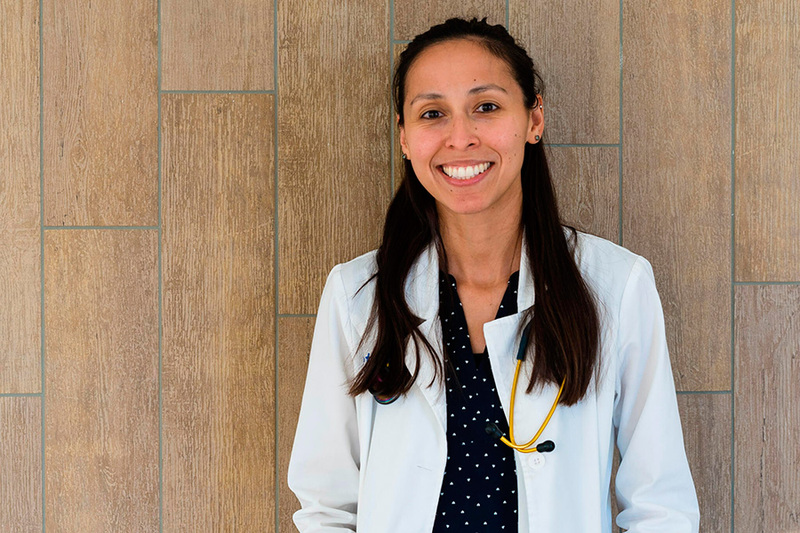 After finishing veterinary school, she completed a small animal medicine and surgery internship at Advanced Veterinary Care Center in Lawndale, California. She then moved to southern Nevada where she has been practicing veterinary medicine ever since. Dr. Aybar joined the Pet Health staff in the spring of 2017. Her professional interests include preventative and internal medicine as well as educating pet parents on their pet’s well-being. Outside of work, she enjoys going on hikes with MD, her Chihuahua-rat terrier mix, running, watching movies, and traveling.